Configuration Failed - Failed to connect to the configuration database: Error during decryption. Ensure the passphrase is correct. 1. I was trying to connect a SharePoint server to an existing farm after entering the farm passphrase. An exception of type System.ArgumentException was thrown. Additional exception information: Error during decryption. Ensure the passphrase is correct. 3. But when I tried putting in the correct farm passphrase, it went past this stage and the configuration wizard failed. 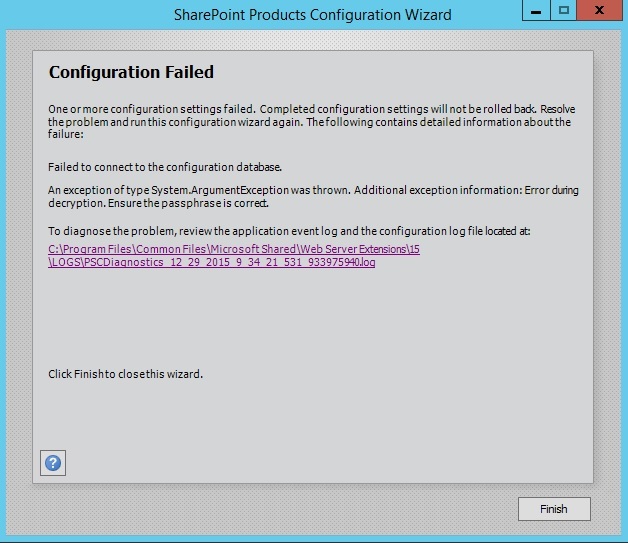 SharePoint 2013: The server was unable to save the form at this time. Please try again. An IISRESET fixed the issue. Sets a value that specifies whether the site collection is locked and unavailable for read or write access. This operation should be used in conjunction with the Getsitelock operation. For more information, see the Examples section. None: Sets the site collection to unlock. Noadditions: Permits changes that reduce the size of the data. 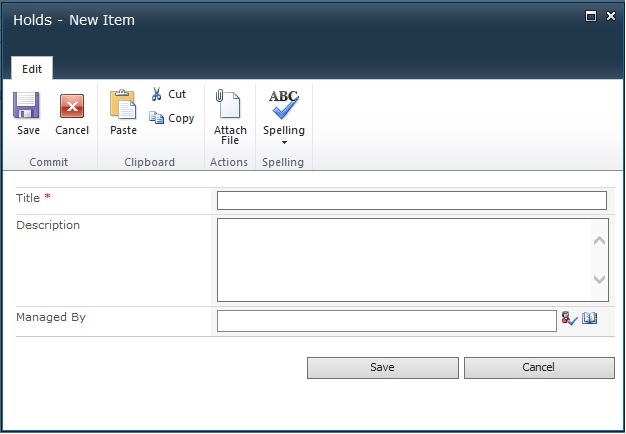 For example, if you had an announcement list item whose body consisted of 50 characters, you could successfully edit the list item so that the body was reduced to 25 characters. However, if you tried to edit the list item so that they body was increased to 100 characters, that would be blocked. Readonly: Sets the site collection to read-only. 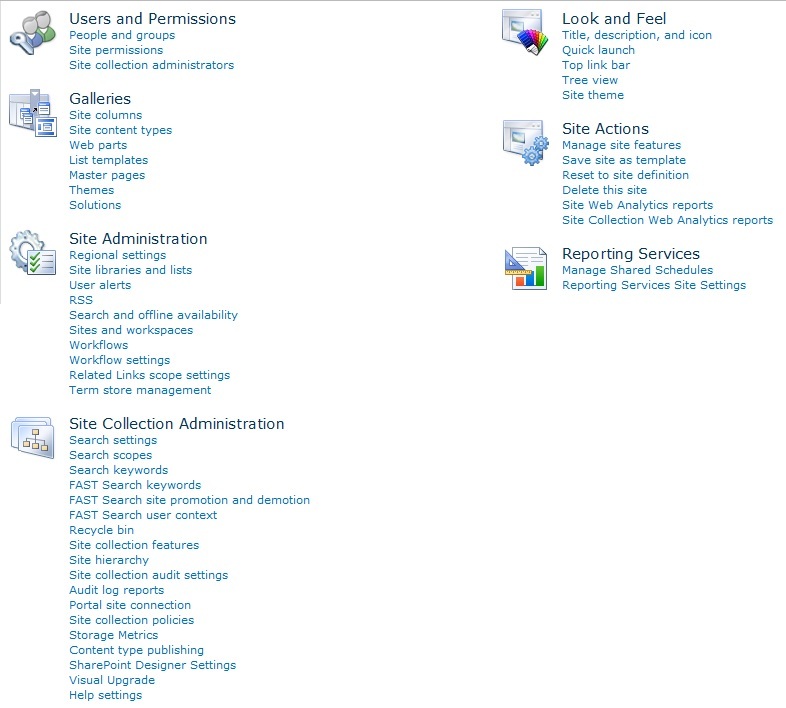 Noaccess: Sets the site collection unavailable to all users. 3. This brings up the calendar. 4. On the top of the page, select Calendar Tools -> Calendar. This will open the ribbon option for the calendar. 5. Click on Connect to Outlook. 6. 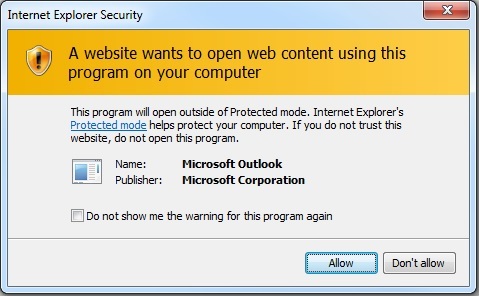 This opens a pop up. Click Allow. 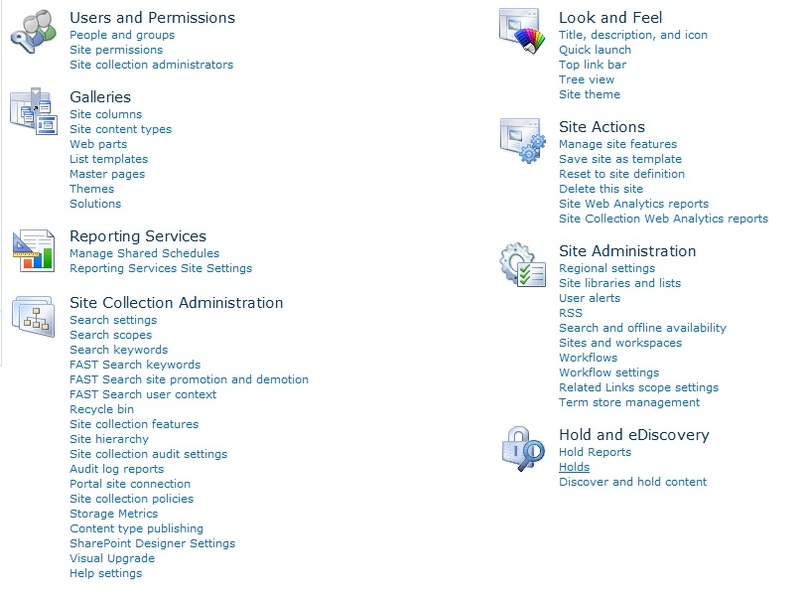 Developer Dashboard is a great feature on SharePoint 2010. This feature is disabled by default. And it provides performance and tracing information that can be used to debug and troubleshoot page rendering time issues. (slow page loads, web part issues, query delays) .Enabling this great feature will get critical information about execution time, log correlation ID, critical events, database queries, service calls, SPRequests allocation and webpart events offsets. The Developer Dashboard feature is turned off by default, but it can be enabled very easy via stsadm or PowerShell. 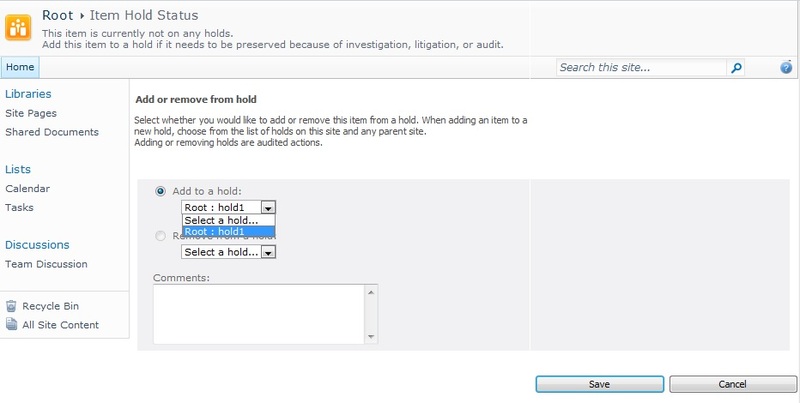 3) This will display the Hold and eDiscovery section in Site settings now. 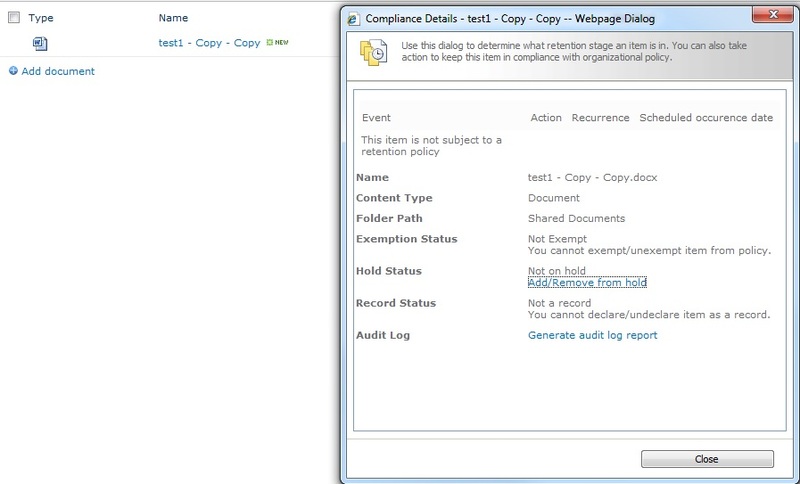 5) Now browse to a document library and select a document, right click and choose Compliance Details. 7) Select Add to a hold and Save. Use the drop-down selection box to choose the relevant hold to apply to this record. The ‘Comments’ field is not required. a. This means this record cannot be deleted and will not be destroyed through its Information Management Policy until the new hold is removed. b. Please note that SharePoint allows you to apply multiple holds to the same record. 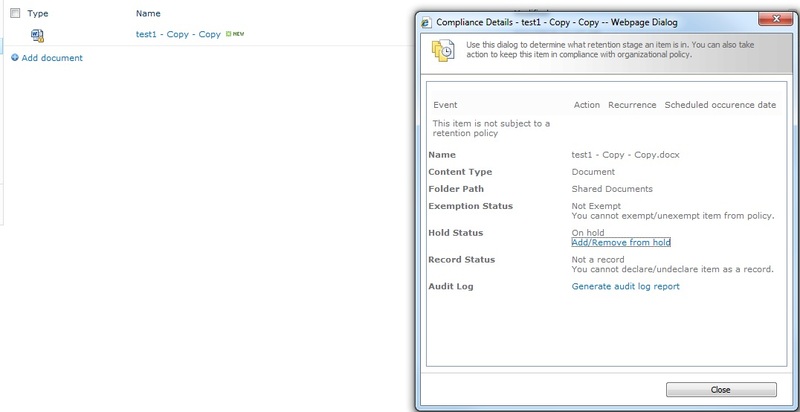 If a record has multiple holds applied to it, SharePoint will not allow the record to be destroyed until all the holds are removed. 3) Select Remove from a hold and Save. Use the drop-down selection box to choose the relevant hold to apply to this record. The ‘Comments’ field is not required. 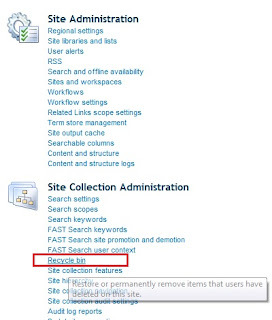 The Hold and eDiscovery feature of SharePoint sites prevents items such as documents, images, pages, from expiration policies. This feature is typically used for items that are subject to events such as litigation, audits, or investigations. Organizations use holds to prevent items that may be relevant to ongoing litigation or investigation from expiring or being destroyed before the event to which they are relevant has been resolved. Also , when an item is placed on hold , it cannot be edited or deleted. 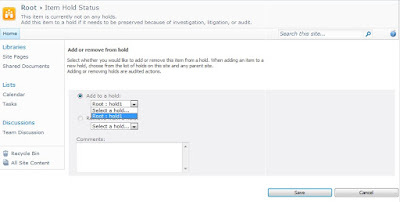 To use the Hold feature, Hold and eDiscovery feature must be activated in that site.You can add a Holds list to any site by accessing the Site Settings page for the site and activating the Hold and eDiscovery feature. A new entry is added to the Holds list for creating a new hold. The Holds list provides tools for finding and holding relevant items, viewing items that are currently on hold, or releasing a hold when it is no longer required. When an item is added to a hold, its hold status is updated to indicate that it is on hold, and the application prevents this item from expiring or being deleted. An item can have multiple holds at the same time. 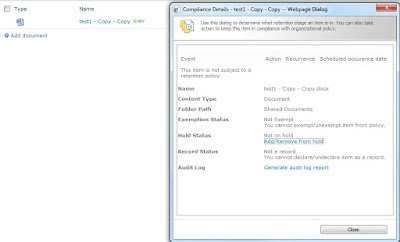 If an item is put on multiple holds, it is suspended from its original information management policy until all of the holds to which it has been added are released. I have detailed the implementation of Hold and eDiscovery feature here. When you are using Active Directory groups and add those groups into SharePoint groups, you will run into issues while modifying the members of the Active Directory group. It takes 24 hours (by default) to reflect this change to SharePoint.This behavior is controlled by a property called Token-timeout.By default, this value is set to 1440 minutes (24 hours) . If you want to minimize this token time out value (time it takes to refresh the token), follow the below instructions. Note: You can substitute -pn for -propertyname and -pv for -propertyvalue. Gets or sets the name of the property. A valid time interval, in minutes. The default setting is 1440 minutes. - This property applies to the entire farm. - The use of stsadm will only affect the ContentService Web service property and not the AdministrationService Web service property. "The context has expired and can no longer be used. 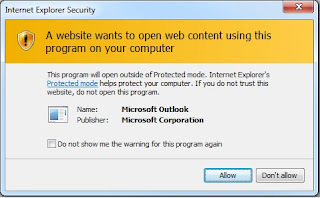 Exception from HRESULT: 0x80090317"
AD security group permissions are being used to control access in SharePoint 2013, however, changes to group membership in AD are not taking effect immediately in SharePoint 2013. In simple words, even after you remove a user from the AD security group - user is still able to access the site. 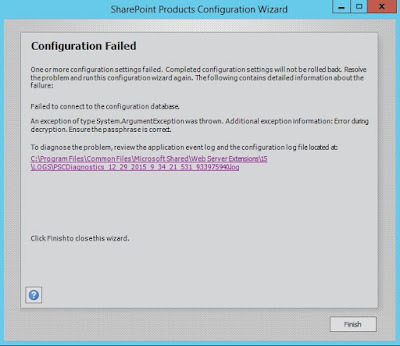 If you add a new user to the AD security group, user still receives access denied error message in SharePoint. Workaround - If you need to have the change take effect immediately, you can do an Application Pool recycle for that web application. 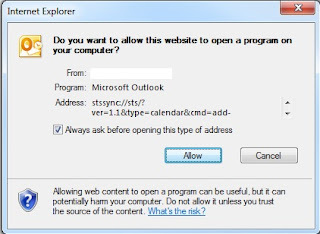 In Windows Claims enabled web application (the default for SharePoint 2013), the logon token life time is by default 10 hours and cache life time is by default 10 minutes. 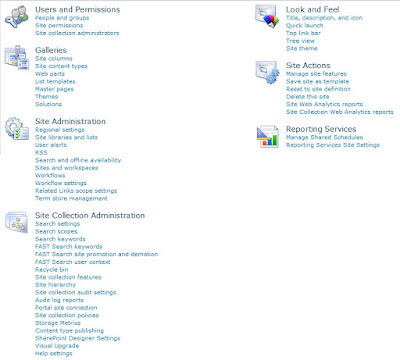 Hence, the AD group modifications will not reflect immediately in SharePoint user sign-in. internally what happens is when a user accesses a SharePoint site, SharePoint checks the security token store cache for the user's claims. 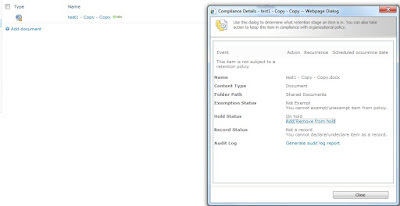 If the claim is found in the cache, SharePoint uses it to authorize the user. 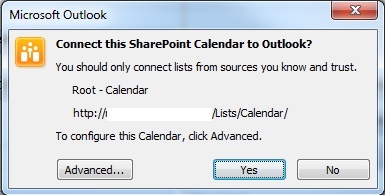 If not, SharePoint queries for claims again from the AD. The value of token life time and cache expiration time can be set to the desired value per your needs.Lowering the token life time introduces more round trips to AD to authenticate the user, which means performance characteristics should be monitored to determine the appropriate lifetime.I have seen 10 minutes being recommended to use, but this is something that needs to be tested as it should be considered on a case by case scenario.If you would like to change the token life time, you can use the following PowerShell cmdlet to set the Windows token life time and cache expiration window to the desirable value. The below example sets your WindowsTokenLifetime to 10minutes (10 hours is the default) and the Cache Expiration to 2 minutes (10 minutes is the default). 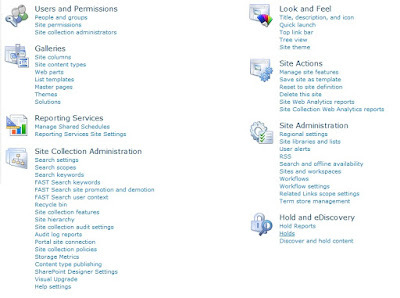 To Disable a SharePoint Feature, you must first determine the scope of the feature. 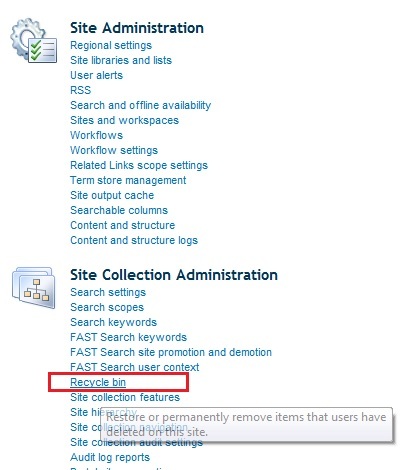 If the scope is Web-based or is a site collection scope, the URL parameter is required. However, if the scope is farm-based, the URL parameter is not required. This example disables the "MyCustom" Web site scoped feature at http://somesite. 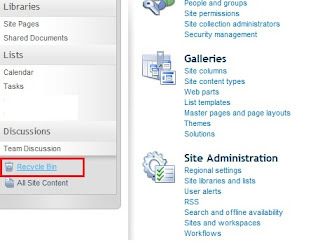 This example disables all features in the subsite at http://somesite/myweb.